Ginger beer is a Caribbean style spicy-soft drink prepared using a ginger starter of grated ginger, water, sugar and wild yeasts from the air. Ginger root has natural yeasts on the skin which feed on the sugars, creating a low-calorie drink in the end of fermentation. This sugar-feeding process can can build up a lot of carbonation, so bottling in food-safe plastic bottles is best advised (Why? See our blog all about carbonation). With plastic, one can feel the pressure building up, and be aware to be careful opening the bottle. It’s alive – pro-biotic. Minerals and vitamins are released in the fermentation process and creates a healthy drink full of probiotics that are great for for digestion, drink mixes and general enjoyment. 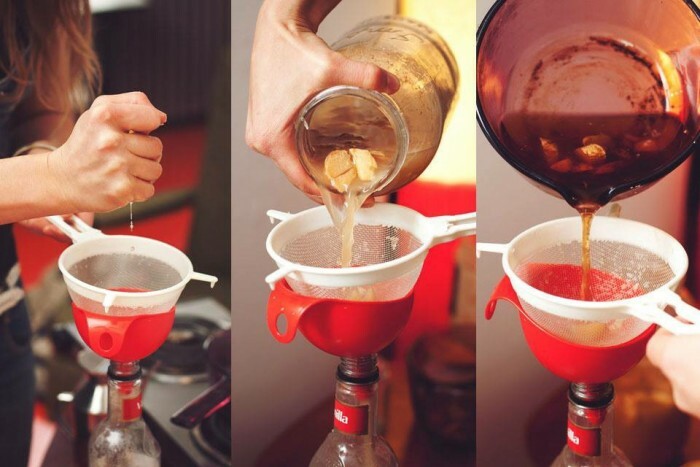 Letting your ginger soda ferment longer and in a sealed container means the gradual build-up of not only carbonation, but also alcohol which you may desire or avoid. This recipe is very diverse and one can add many different spices and quantities to find the level of spice that fits individually. Cardamom is a favourite of mine. Cloves. Anise. Chilli. All spice...etc. 1. Combine and stir ingredients together well. 2. Leave in a warm spot covered with a cloth to allow free movement of air. 3. Stir in the same amount of ginger and sugar every day or two until it begins to bubble (somewhere between 2-7 days). 3. Simmer, covered for 10 to 15 minutes. Let cool and strain into a bottle. 4. Add juice or lime or lemon and half a cup of your active ginger or turmeric starter to the bottle. Seal tightly and allow to ferment for 1-3 days, checking regularly. **IMPORTANT** This type of soda does accumulate a great deal of carbonation and should be handled with care. Check your bottles often and open the lid to let the fizz out. Be careful if you use glass bottles! Fizzy liquids can cause glass to explode so wrap it with a cloth or use a plastic bottle. When the drink is fizzy the plastic bottle will feel hard. How does ginger retain its natural yeast if it has to be washed? I am a bit confused ….. p.s. : thanks for all your great info! with ginger beer, as it is very explosive compared to other fermented drinks that too are active (such as kombucha and water kefir), i always ferment mine in food safe hard plastic bottles. i can then feel the pressure of the bottle and not worry about Explosion. the fermentation will only stop once the sugar count is low or its become alcoholic enough that the yeasts present can no longer handle that environment. its okay to ferment this long, but you might not enjoy the taste as much. i put mine also in the fridge and it slows the yeasts down. Thanks. I’m excited but nervous. 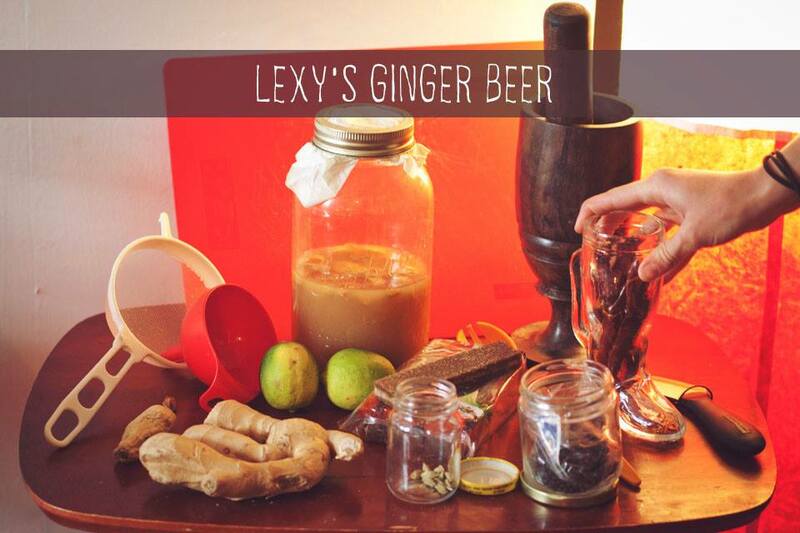 What’s a good ratio of spices to the ginger beer? 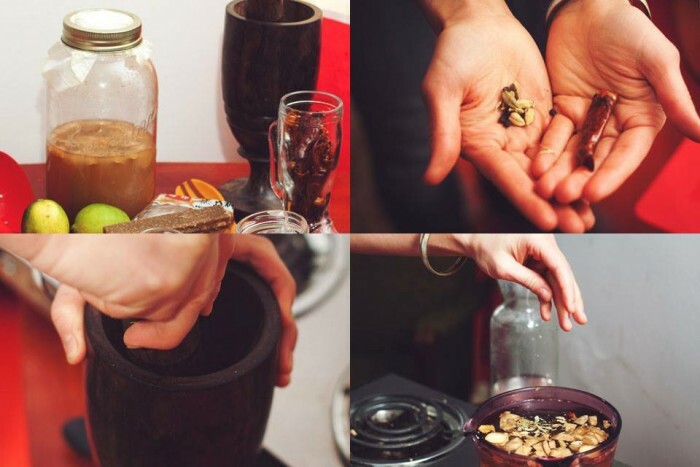 Like if I wanted to use allspice or cinnamon, how much would you use in a 2 liter batch? 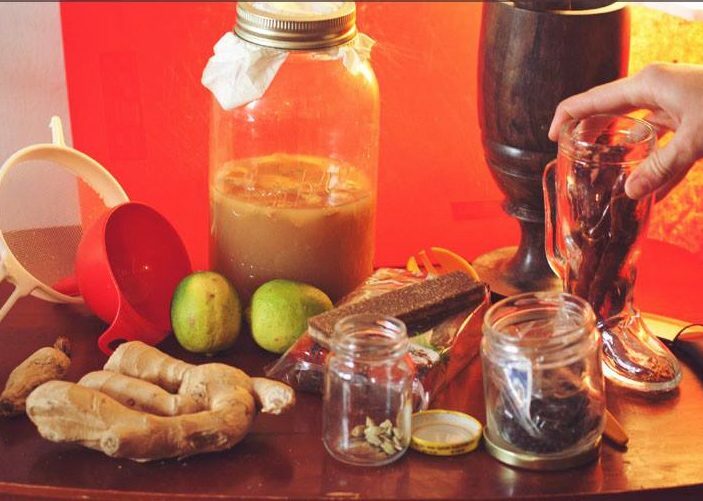 I would say for a two liter batch, depending on your preference for a flavorful drink, id put in a couple cardamom pods, about 5 cloves, three peppercorn, one mini chili… it also depends on how fresh /old your spices are… i often like mine pretty spicy so i boil the spices in the ginger syrup for quite some time. if you come up with some amazing recipe, share it here- im always curious to try something new :D!